Step 1: Click the downward arrow in the right corner and then ‘account settings’. 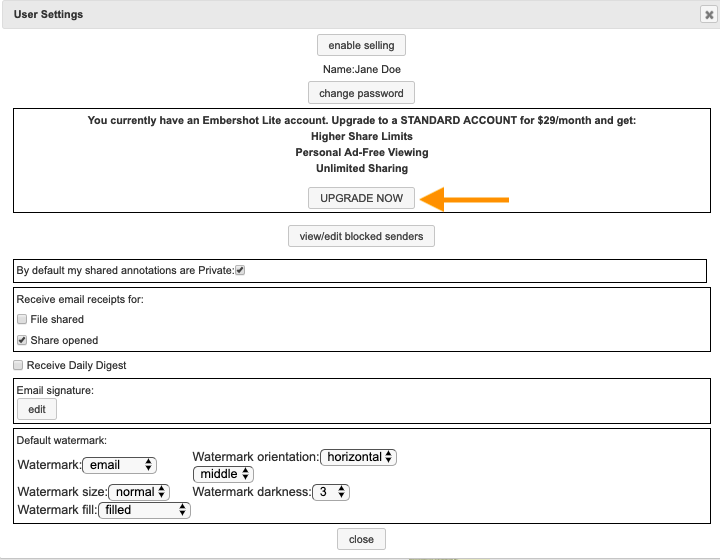 Step 2: Click on ‘UPGRADE NOW’. Step 3: Enter payment info and select ‘subscribe’.